For your information, I have a very dry skin, my elbows, arms, and legs used to be so dry, it would leave white marks when you try to scratch it. I have allergies to extremely cold weather because my skin is so dry. My skin would start getting very itchy and it will rash like everywhere on my tummy. 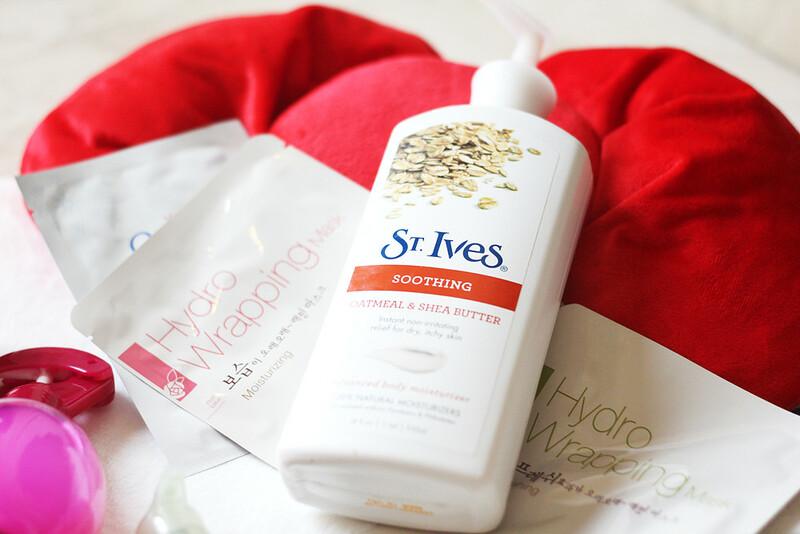 That's why this body lotion from St. Ives is a life saver, it was made purposely for my type of skin. I used to use Jergens' Ultra Healing, but this one works better and smell nicer. I recommend you not to use body lotion that are fruity or floral scented like body lotion from Bath and Body Works, The Body Shop, or Victoria Secret because those body lotion (from MY PAST EXPERIENCE) makes your skin hairy and they just don't work to moisturize your skin, they're more like lotion to make your skin smells good. But hey, that's just me! My tips for nice and flawless face? NEVER EVER LET ANYONE EVEN YOURSELF touch your face. Especially when you are not really a hygiene freak like me, you rarely wash your hands and you touch your face all the time, you will have acne and breakouts, trust me. Always wash your face twice a day, it's better if you have 2 options for the cleanser, one with beads/scrubs (to clean your pores) and one without beads. Because if you use too many scrubs, it's not good for your skin, so you need to change it between day/night. It's very important to use SUNBLOCK. You don't want to get skin cancer or wrinkles in your young age, don't you? And I do put mask on my face once a week, it will hydrate your skin, really nice. I recommend face masks from The Face Shop. The second picture are my make up cleansers, you can get them at Watsons or any Supermarket. Just DO NOT FORGET TO WIPE OFF THOSE MAKE UP BEFORE YOU GO TO BED NO MATTER HOW LAZY YOU ARE. I have the same problem as you. I used to have rash like crazy during winter time. The strange thing is now I'm back to Indo and I still have that problem! Perhaps because of the AC. WIll try St. Ives. Haven't seen that brand for quite some time, though. I hope Foodhall or Kem Chicks carry it. It would be too much hassle if I have to buy a bunch of them each time I go to Singapore! Thanks for sharing. thanks for your nice comment . Can't wait for the make up part!! Hi Caroline! My first visit here after last time on your previous blog. Reading your posts feels exciting! The beauty tips are helpful, and i found that "don't let anyone touch your face" part is a basic advice people needs to know indeed! 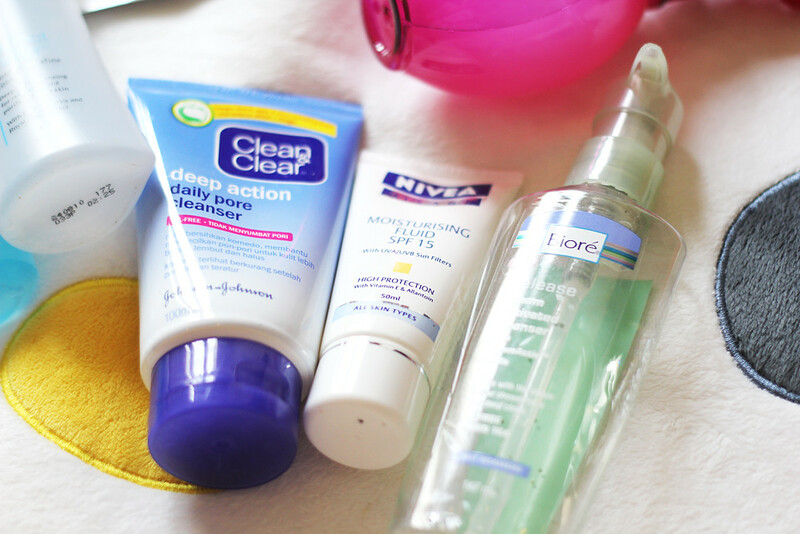 clean and clear is such a great product! nic blog indeed! It seems like a great selection! Thank you for sharing! Love Ives too and ponds! You super made my day. Thank you so much for leaving a comment on my blog. :) i love you! i love biore 2in1 cleanser! 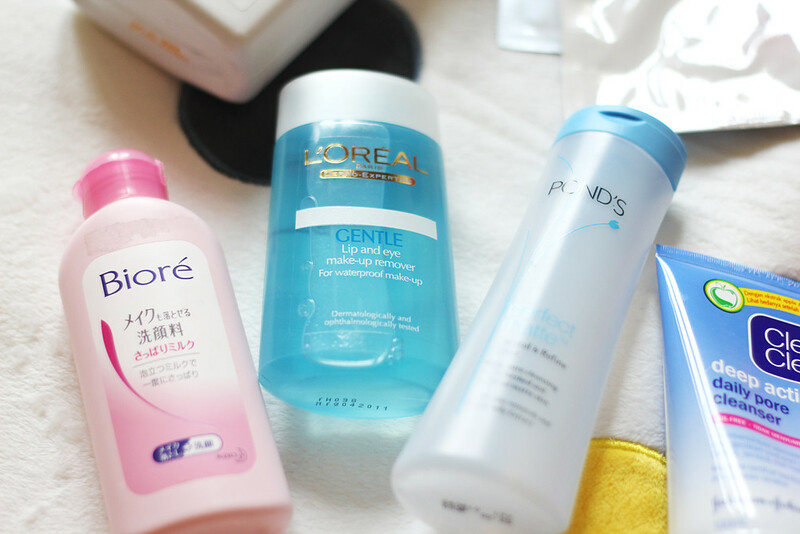 its probably the best make up cleanser below 50,000idr! i know you from FD, you have a really nice style! 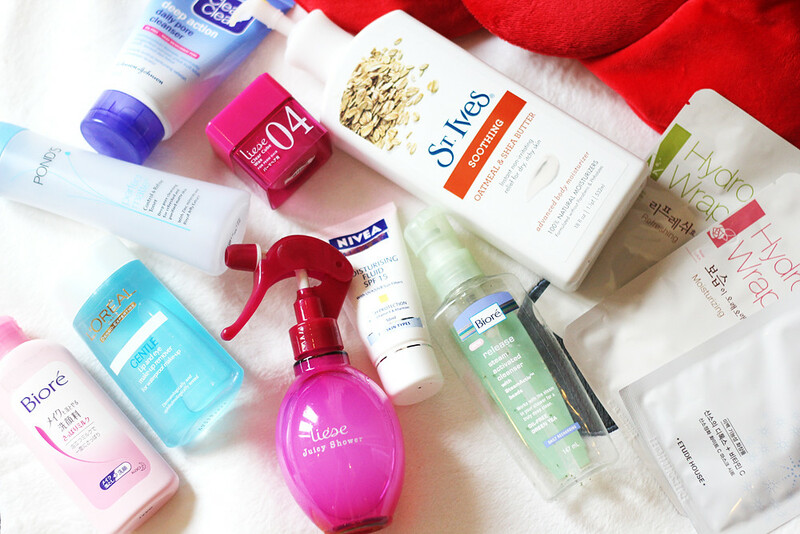 We use the same cleanser :) Nice post!